I am a urologic oncologist specializing in surgical treatment of cancers of the genitourinary tract. I have extensive experience with laparoscopic and minimally invasive surgical techniques and apply these approaches routinely to reduce the pain, recovery time, and complications associated with traditional open surgery. I am skilled in nerve-sparing and organ-reconstructive surgery essential for preserving normal functions when treating prostate, testis, bladder and kidney cancer. I am sensitive to the particular issues regarding the diagnosis of genitourinary cancer and its subsequent treatment, including its physical and emotional effects on the patient and their family and support system. 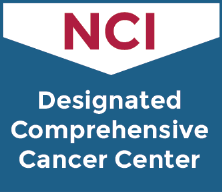 I recognize each person is unique and requires a treatment individually tailored to them to achieve successful cancer treatment, limited treatment-related side effects and maintained quality of life. In November 2012, my doctor diagnosed me with prostate cancer after testing a mass we’d been watching. It was caught during a routine physical. The first doctor I saw attempted to treat the cancer with drugs, but they didn’t work. At a crossroads at my local hospital, I wanted a second opinion, and after seeing an ad about Fox Chase Cancer Center I decided to do some research. Right away Fox Chase made me feel like a priority. I scheduled an appointment for December 12, 2012 with Dr. David Chen. Like most men, getting regular checkups is not at the top of my list, but my wife has always made it a priority. And I’m glad she did because about seven years ago, it saved my life. About Ureteral CancerWith more than 40 years between my first and second cancer experiences, I have personally experienced the incredible advances in treatment that cancer researchers have made over the decades. After being diagnosed with peritoneal mesothelioma, a rare form of cancer, Preston Moyer underwent life-saving treatment, including chemotherapy and surgery at Fox Chase Cancer Center. With the help of Dr. Sanjay Reddy and Dr. Hossein Borghaei, Preston is now cancer free. After Daniel Haubrich was diagnosed with prostate cancer in 2005, his urologist did not think he was a good candidate for surgery, and he offered Daniel little hope that he would make a full recovery. Daniel knew he needed a second opinion and scheduled an appointment at Fox Chase Cancer Center to see a more experienced surgeon. This time, he was recommended for surgery, and after both surgery and radiation in early 2006, he is now cancer free. "I am grateful to both Dr. Chen and Dr. Horwitz for their positive attitudes, their commitment to care, and for treating me with respect," he said. "My experience at Fox Chase was always positive." Most caring surgeon I've ever had. Dr. Chen is very thorough! I am confident that Dr. Chen will guide me appropriately. Dr. David Chen is a very informative and compassionate physician. Dr. Chen is outstanding, trustworthy, warm and he is an expert and a pleasure to have as my provider! Felt very confident with Dr. Chen. The best I have ever been with. He listened and answered all my questions. He did NOT rush me out of the office. He was CARING! Dr. Chen was knowledgeable, very professional and respectful. dr chen is quick, doesn't waste time, but that is a good thing.